BOSTON - MARCH 8, 2019-- Yesterday, FOUR PAWS, the international animal welfare organization, officially opened its BEAR SANCTUARY Ninh Binh. Located in the Ninh Binh Province of Vietnam, the sanctuary is currently home to 12 bears, including 10 former bile bears. “Bile bear” is a term used for any bear used for the production and extraction of stomach bile, an ingredient in some traditional medicines. Although the possession, sale and consumption of bear bile has been banned in Vietnam since 2005, it is rarely enforced and the keeping of the animals is still permitted. Approximately 800 animals still suffer on 250 bear farms. FOUR PAWS has asked the Vietnamese government to close the remaining bear farms and place the suffering animals in reputable sanctuaries. BEAR SANCTUARY Ninh Binh will ultimately house 100 bears. With the opening of the sanctuary, an important milestone was met the fight against the illegal keeping of bile bears. Although FOUR PAWS has rescued a dozen bears from cruel keeping in just two years, there is still much to do. But despite the celebration of the opening ceremony, it was overshadowed by tragedy. FOUR PAWS originally planned to rescue seven bile bears from three different bear farms in the Dong Nai Province (located in southern Vietnam.) just this week. The animal welfare organization hoped to bring the bears to BEAR SANCTUARY Ninh Binh, but tragic circumstances thwarted the plan. Within a week, on the same farm, four bears died. The cause of death has yet to be determined. 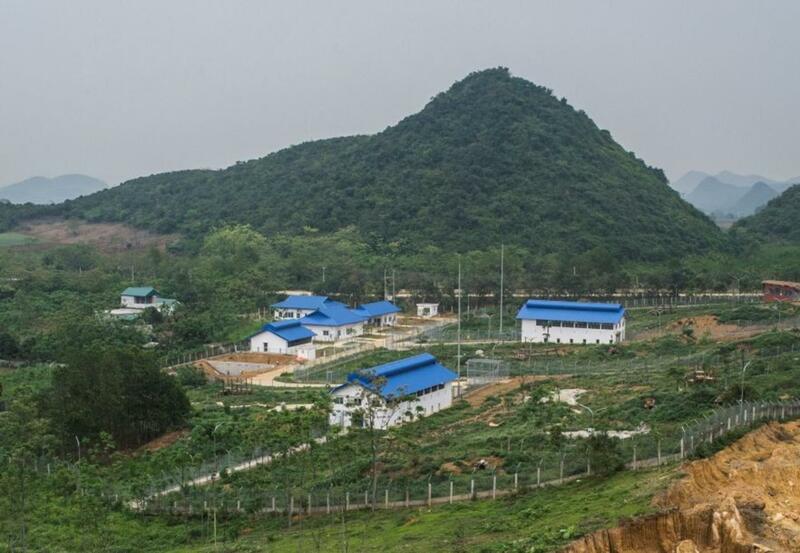 BEAR SANCTUARY Ninh Binh will encompass 24+ acres and provide homes for 100 bears when the final phase of construction is complete. Locals and tourists from all over the world can visit and learn how these former bile bears will regain their natural instincts and live in a bear-friendly environment. The first visitors were impressed by the spacious open-air enclosures with ponds, trees and lush greens, climbing and hiding places. The bear sanctuary is not only a new home for former bile bears, it is also an educational and awareness center. The sanctuary, which was built in accordance with the most current standards, has its own veterinary animal clinic, two bear houses, a quarantine station and four outdoor enclosures (https://youtu.be/eXFecmA6QGQ). Bear bile has been considered a remedy in traditional medicine for several thousand years. It thought to cure eye diseases, hematomas, digestive disorders and other discomforts. Although renowned experts doubt the effects of these medicines, and herbal and synthetic alternatives are available, bear bile is still sought-after by customers in Asian countries.